Need to Ramp Up Your In-House Staff? Leverage your data to build institutional knowledge. Data isn’t worth much if you can’t access it. To help your organization build institutional knowledge, Wiltech Systems Group (WSG) will employ its data architecture expertise to define how your data is stored, managed, and consumed within the organization. 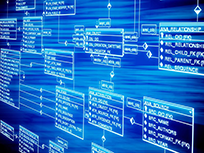 Learn more about WSG’s Data Architecture and Information Management solutions.